One article advises not to give details of the marriage breakdown, that this is alienating behavior. After more than 13 years of having my reputation tarnished while everyone thinks he walks on water I say to Hades with that! I am telling my side. I am not letting my kids think I walked out on him or them, I didn't! There comes a time when you have to speak out. Children are being raised in certain environments and think that is normal behavior, when it is anything but. Kudos to you! Thank you very much for your comment. I wish more people would chime in and share. I don’t blame you a bit. It is not right to have others lie about you & for you not to be able to set the record straight — it is not only not good for you, but it is not good for those believing the lies. I strongly believe that though the truth may hurt, lies HARM. Good for you. 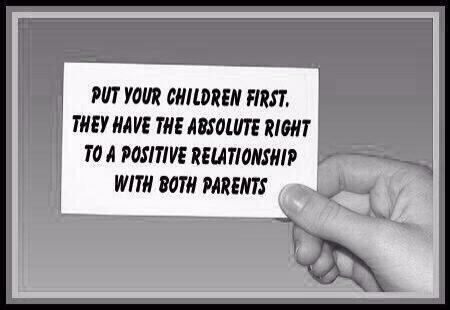 I wish experts would address extreme Parental Alienation and teen & adult kids still suffering from PAS. Another target parent/alienated mom whose blog I support. Silence is a lie, & EVERYONE DESERVES THE TRUTH.